Comcast voice, video, Internet... and now cellular? With Comcast's plans to bid for wireless spectrum, "Xfinity Wireless" sounds a little more real. If the thought of Comcast supplying your cable, phone, Internet access and wireless service scares you, then hide under the covers: Comcast said Wednesday it's going to participate in the wireless spectrum offering the government will hold this spring. Comcast isn’t obligated to bid. The company has simply declared its intention to participate. If the company bids and wins rights to a portion of the wireless spectrum that the FCC is offering up, then the most likely options would include a Comcast commitment to operating as a wireless carrier, or reselling the spectrum to another party. Comcast reported an 8.5 percent increase in fourth-quarter revenue to $19.2 billion, with profits remaining relatively flat at about $2 billion. At the end of 2015, Comcast reported adding 89,000 video customers, for a total of 22.3 million subscribers by year’s end. Another 460,000 signed up for Internet access, for a total of 23.3 million subscribers at the end of 2015. Comcast has far fewer voice customers: 11.5 million, a slight uptick from 2014. Here’s what Comcast is aiming for, though: The company also broke out the numbers for its single-, double-, and triple-product customers—those “double play” and “triple play” packages that Comcast is always pleading with you to upgrade to. Tellingly, single-product sales dipped slightly to 8.4 million subscribers at the end of 2015. But double-product sales grew 5.38 percent to 9.2 million subscribers, and triple-product sales grew 2.4 percent to 10.1 million subscribers. What this means: What those numbers mean is that, at 37 percent, triple-product subscribers not only make up the largest segment of Comcast subscribers, but they likely bring in the most revenue as well. Wouldn’t it be even better, Comcast executives are undoubtedly thinking, if users subscribed to four services, including wireless? According to Investors’ Business Daily, the auction will begin in early March, with the FCC releasing 60MHz - 80MHz (megahertz) of prime, low-frequency radio spectrum owned by local TV broadcasters for auction. Comcast would obviously be competing with the four major U.S. carriers —- AT&T, Sprint, T-Mobile and Verizon—as well as other interested parties. Wall Street has wondered whether Comcast would enter the wireless market probably as far back as when Comcast offered a joint ”quadruple play” deal with Verizon in 2012. 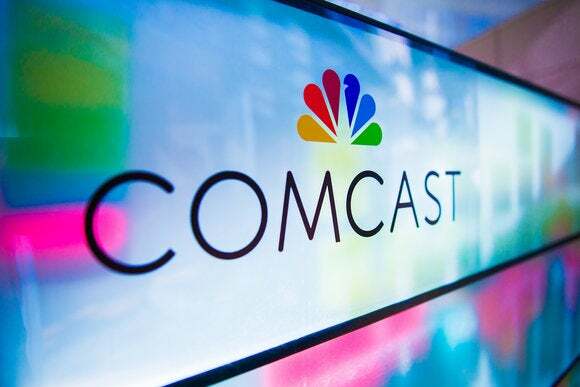 Comcast chief financial officer Michael Cavanagh also noted that Comcast wants to leverage the 13.3 million wireless hotspots it supplies to customers—most likely piggybacked onto its latest generation of routers. Both are evidence that Comcast could be preparing for that next step into wireless. Whether that'd be a good thing for consumers, however, is a completely different question. There’s the issue of bundling—consumers are under no obligation to sign up for any Comcast service at all, though Comcast’s promotional prices are designed to lure you in—followed by notorious examples of near abuse when customers try to opt out. Comcast has definitely earned its title as the worst company in America, though it has tried to dig itself out. When a Comcast set-top box failed me during the NFL playoffs, the company threw in a three-month free subscription to Showtime to soothe my frustration. So let’s ask you, the reader: Would you buy wireless service through Comcast, if it meant a few bucks off on your other services? Tell us in the comments.